Rock avalanches move large volumes of material causing a highly destructive power over large areas. In these events, it is possible to monitor the evolution of slopes but failure cannot be always prevented. For this reason, modelling of the propagation phase provides engineers with fundamental information regarding speed, track, runout and depth. From these data, it is possible to perform a better risk assessment and propose mitigation measures to reduce the potential hazard of specific area. The purpose of this paper is to present a depth integrated, SPH model, which can be used to simulate real rock avalanches and to assess the influence of the rheology on the avalanche properties. 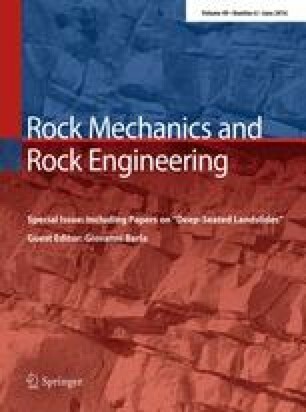 The paper compares the performance of different rheological models to reproduce the track, runout and depth of the final deposit for both, scale test and real events such as Frank and Thurwiesier rock avalanches. These sets of benchmarks provide information on the proposed model accuracy and limitations. The authors gratefully acknowledge the economic support provided by the Spanish Ministry MINECO (Projects GEODYN and GEOFLOW). The authors gratefully acknowledge the support of the Geotechnical Engineering Office, Civil Engineering and Development Department of the Government of the Hong Kong SAR in the provision of the digital terrain models for the Hong Kong landslide cases. Thanks are given to Dr Manzella for the experimental data concerning the granular avalanche experiments.